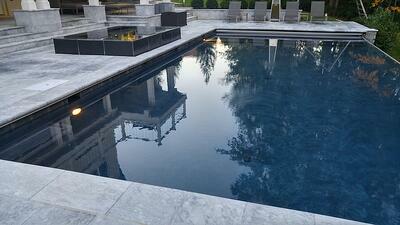 The problem with a lot of pool builders is that they are solely focused on the pool itself. We call this “tunnel vision” and it’s a problem because they fail to give any thought to the rest of the landscape. But items like fire features, the patio material, or a providing shade can’t be afterthoughts. It’s so much easier, not to mention cost effective, to plan for them in advance. 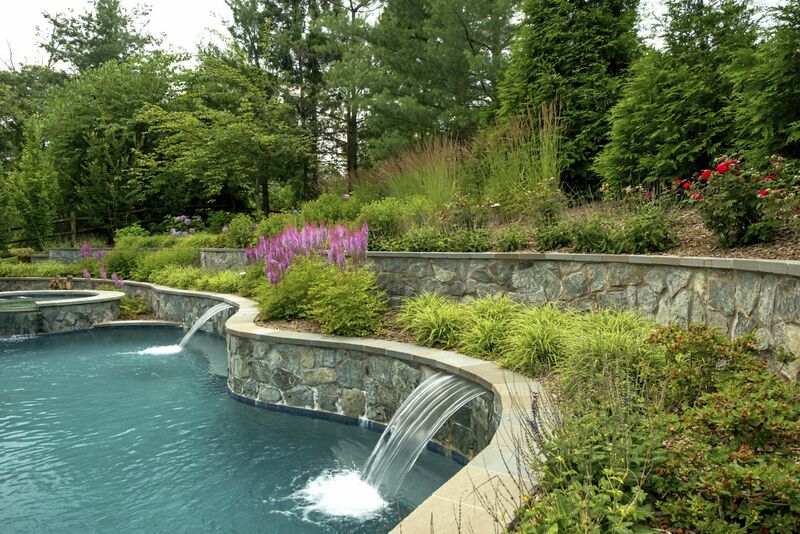 When pool companies in Ashburn, Aldie, or Leesburg, VA get tunnel vision they don’t look at the big picture and that can even become problematic when it comes to more serious issues like retaining walls or site grading. You could wind up with a total mess or problems that need to be resolved once the pool company has come and gone. Pool companies don’t necessarily leave these items out on purpose. After all, pools are their specialty and that’s really all they know. But in some cases, these items are intentionally left out because some pool builders are focused on maximizing their profit for the season. In other words, they want to install as many pools as they can and extra items (like fire features or retaining walls) are just more time-consuming for them to work around and not big revenue drivers for their business. Unfortunately for you, that leaves you with a pool that is less-than you really wanted—and you’re left having to add those items in after the fact (which can’t always be done). Don’t get stuck with a pool that falls short of your dreams. Instead, make sure that all of the items you had on your list are part of your swimming pool design, even if they’re additions you may add later. Here are 10 ideas that shouldn’t be “extras” but should be planned for from the very beginning. While you may get a pool builder that hauls away all the soil left behind from digging out your pool (though we’ve certainly heard horror stories of pool builders that have left it all behind), they’re not thinking about the rest of your yard. A pool builder is just focused on digging the hole for your pool and not how that hole is going to affect the rest of your property. For instance, improper grading can cause elements of the landscape such as mulch or mud to wash into the pool or onto the deck. That’s why it’s important to think about the big picture. You don’t want to have future problems in your landscape that could have been prevented in the first place. Similarly, some pool projects may end up not just requiring proper grading, but retaining walls in order to prevent erosion. If you have a sloping yard and you level off the area for the swimming pool, you may have future problems with erosion and runoff that would be remedied with a retaining wall. But this is not something that pool companies are necessarily concerned with as they just want to get your pool in and move on. Still, imagine the mess if that runoff is not dealt with. You could wind up with a mess on a regular basis. In fact, you’ll want to consider stormwater runoff problems, in general, to prevent issues like this homeowner experienced. Let’s be honest. There are some decent pool builders in Ashburn, Aldie, or Leesburg, VA in terms of the fact that they’re good at putting in pools. But they’re not landscape design experts and they rarely know a lot about patio builds. Most pool companies are going to opt for a cheap patio material, such as poured or stamped concrete. It’s inexpensive and easy to install which allows them to move on to the next job quickly. But there are a lot of downsides to concrete and it’s likely not what you envisioned when you think of a dream pool and its surrounding patio. We believe that natural stone is the best pool patio material. Specifically, we think pool patios should be built with travertine. Travertine does not get very slippery when it’s wet, it stays cool underfoot, and it is highly durable and won’t crack like concrete. It also looks beautiful and is available in a lot of color variations. Travertine opens up the possibility for a lot more creativity with patterns and patio designs as well. The walkways and steps near your swimming pool design are also important elements that you do not want to be forgotten or overlooked. It simply makes no sense to have a gorgeous poolscape that is surrounded by delipidated walkways or steps in other areas of your property that likely doesn’t match your new pool patio. If you’re having a pool installed it’s a great time to also consider renovating existing walkways and steps, or adding them if you don’t have them. That way, family and guests do not have to traipse through the lawn, driveway, or other areas of your property to get to the pool. 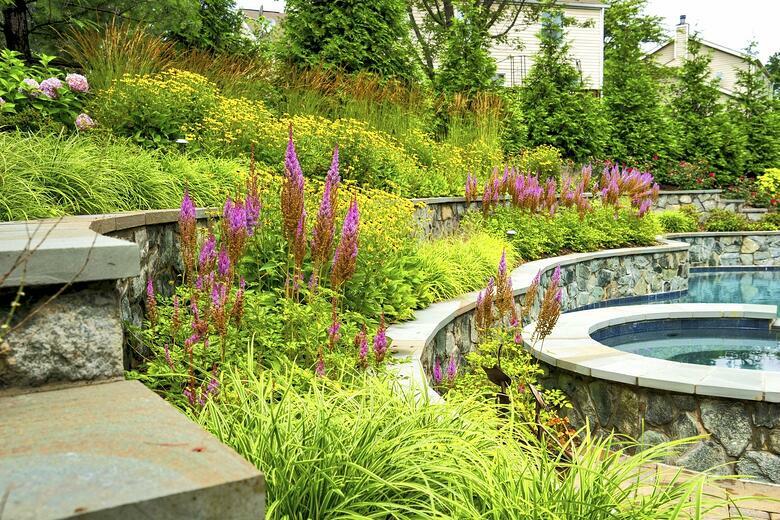 Adding fire features like a fire pit or an outdoor fireplace are brilliant backyard pool design ideas that should be given thought at the beginning of the design phase—not once the pool is complete. There may be gas lines that need to be run and it makes sense to do this at the time of construction. It also makes sense to incorporate the design of the fire features into the overall look and design of the poolscape instead of making them an afterthought. The surrounding landscape is another important aspect of your overall swimming pool design. It’s important to choose plantings that are going to meet certain wants or needs such as providing year-round color or maybe even some privacy screening. But you don’t want to choose the wrong plants and wind up with problems such as debris dropping in your pool or staining on your patio. Some plantings may also provide too much shade where you want the sun to shine. These are all considerations that should be taken into account during the initial design—not as an afterthought. 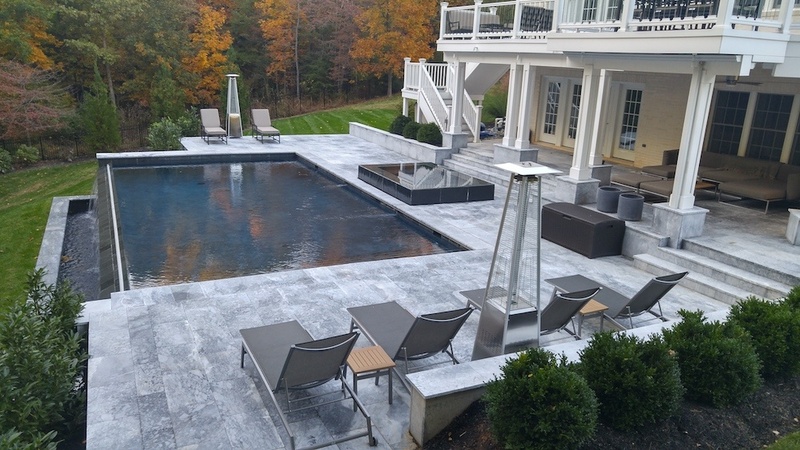 Stone is the superior choice when it comes to landscaped areas surrounding the pool as it won’t be tracked as easily onto the patio or into the pool. You may want to choose a medium-sized stone as opposed to tiny pebbles that can still be tracked. These seem like small details but are the types of details that can wind up having a negative impact if not planned for properly. Landscape lighting is another element that can really have an impact on the overall enjoyment of your space. Landscape lighting not only has a very functional purpose of illuminating your space to make it usable in the evening hours but when properly done, it also looks aesthetically beautiful. For instance, the right lighting can be used to softly uplight some beautiful plants or trees for a gorgeous nightscape. 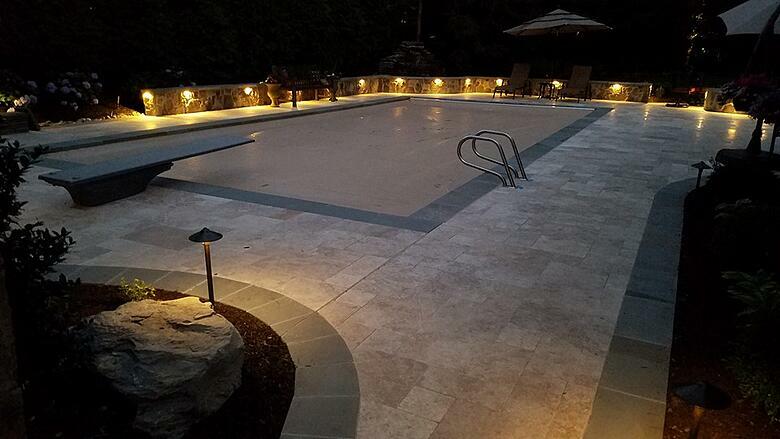 Soft lighting will also be just enough to light up the pool area without drawing in a bunch of unwanted pests like cheap spotlights would. Of course, lighting up steps or walkways also makes your space more safe to navigate in the dark. That’s very important when it comes to a pool area. An outdoor kitchen is a popular swimming pool design idea. When you add a kitchen to your pool area, family and guests who are wet from swimming can still enjoy a snack or meal outdoors without having to come into the house. It’s a great place to gather with friends and watch the kids swim or to grab a cold drink from your outdoor refrigerator. 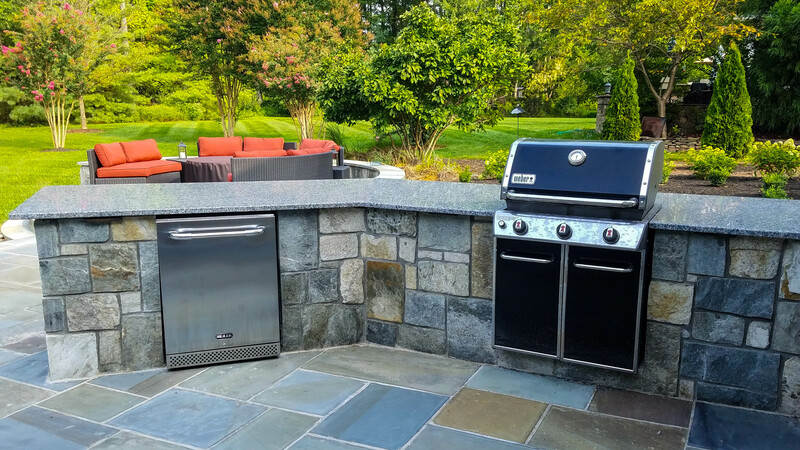 There are numerous amenities you can add to your outdoor kitchen including an ice maker, power burner, pizza oven, refrigerator, freezer, and more. There’s no question an outdoor kitchen is a great addition to your pool space and it’s much more cost-effective to plan for it at the time of your pool’s construction. There are utility lines that need to be run and it makes sense to handle that the first time your yard is dug up rather than having to do it all over again. Similar to planning for an outdoor kitchen in advance, it also makes sense to plan for structures, such as a pergola or pavilion, before construction begins. That’s because there are footers that need to be built into the ground and these should be done during the digging phase so that excavation only has to happen once. Even if you’re going to add the structure at a later date, it should at least be planned for now in order to keep the cost down and to simplify the future build. In addition, some structures, like pool cabanas or storage sheds should still be planned for in advance in terms of appropriate spacing. Even these simpler structures require forethought and planning. When it comes to something as important as your swimming pool, which you’ll enjoy for years to come, you want to be sure it’s done right. That means hiring a company that looks at the big picture and thinks about all of these design elements in advance—not after the fact. 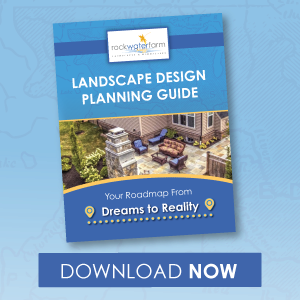 While pool companies are just looking at the pool itself, a landscape designer will be able to plan the complete project—even if you don’t plan to do it all at once. The project can be appropriately phased so that additions (like a pavilion or an outdoor kitchen) can be added at later dates when they’re more in line with your budget. However, by planning ahead you’ll save yourself money and the hassle of having your yard dug up more than once. 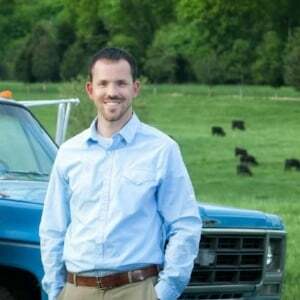 At Rock Water Farm, we look at the big picture, and that’s a huge benefit to our clients. We find that a lot of customers assume their pool is going to cost a lot more by working with us but that’s not true. The pool will cost the same. We still work with pool builders in Ashburn, Aldie, and Leesburg, VA, and it costs the client no extra to work with us versus going straight to the pool company. The pool will cost you the same either way. The difference is that we’ll oversee and direct the project to ensure that the pool is going in the proper place and that all of these elements we’ve talked about (and any others that are of interest to you) are all accounted for in the final swimming pool design. 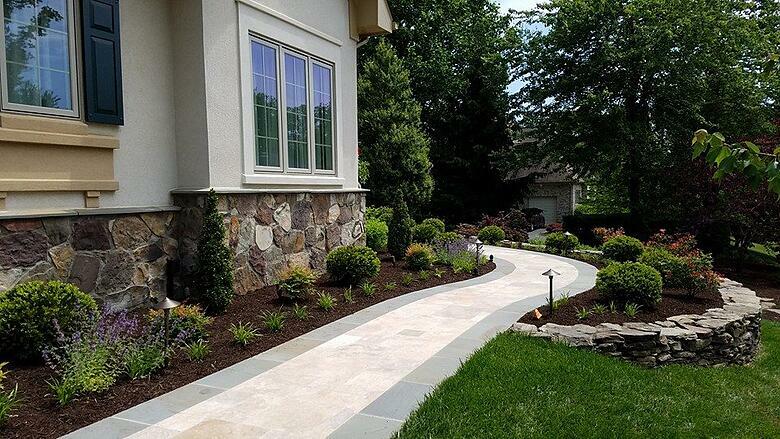 And we’ll take care of all of the features that are in our area of expertise (like the hardscapes, landscapes, or structures) to ensure they’re done properly. Don’t try to add on features after the fact when we can be your one-stop-shop for all of your dream pool wants and needs. Once the pool is in the ground it can’t be moved and you’re stuck with what you’ve got. But if you plan for everything from the very beginning, you’ll end up with an overall finished project that fits your dream. By making that good first decision about who to hire, you and your family will be able to enjoy a dream pool that meets everyone’s wants and needs. If you’re interested in talking about your swimming pool design, contact us for a free consultation or give us a call at 703-327-1636 so that we can answer any of your questions.